The English text used as a source language in an online translation recently concluded contains a word that may easily trip the unwary: "gun". 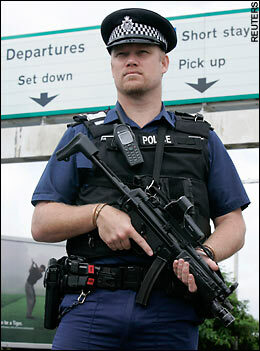 Heathrow Airport is one of the few places in England you can be sure of seeing a gun. In the translation into Italian, many translated "gun" as "pistola". Others chose to translate it as "arma da fuoco" or simply as "arma", and a single translator as "fucile" (rifle). Unfortunately, although "pistola" may be the translation that first comes to mind, here it is wrong. In the feedback section, I objected to this choice of words, but most commenters disagreed, pointing out dictionary entries clearly showing "pistola" as a legitimate translation for gun. The dictionary, however, is just a tool; it is up to us to use it wisely: "gun" should be translated as "pistola" only when it means a handgun. I would have no objection if "Doc Holliday was the fastest gun in the west" was translated as "...era la pistola più veloce del West". All of us have a clear image of the wild West as a place where rough justice was meted out by Henry Fonda as Wyatt Earp in "My Darling Clementine" or by Gary Cooper as Marshall Will Kane in "High Noon" armed with a six-shot Colt 45 Peacemaker. But the guns carried and used by security police at airports, to guard against terrorist threats are, usually, small machine guns (i.e., "mitra" or "mitragliette", in Italian), and not the pistols or revolvers dangling from the belts of policemen (and women) in most parts of the world - but not as yet, save for airports, by British bobbies. So, unless one knew for sure that British anti-terror police are limited to hand guns only (and they are not, as you can see below), the correct translation should be "armi da fuoco" or the superordinate "armi". The translation of gun with "pistola" here is a case of overtranslation: adding more detail to the translated text than is warranted by the original. And the objection of those who justified the use of "pistole" for guns because it was one of the terms suggested by the dictionary? One, reality trumps any reference book, and, two, "cannone" also is found in the dictionary under "gun", and while British police are more heavily armed than with puny pistols, they are not (yet) issued cannons and howitzers to blast away at travelers who forgot the strict limits on carry-on liquids. Sure, in my pair too (Serbian-English), it would be tempting to translate "gun" as "pištolj", whereas the equivalent to "firearm" might be more appropriate - "vatreno oružje". 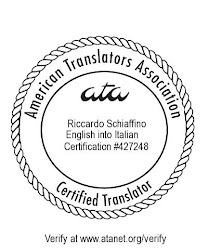 In my opinion, there are at least three sources the translator should refer to: bilingual dictionaries, monolingual dictionaries (not learners’ dictionaries) and knowledge of the world or, put it plainly, to ask oneself questions about the text. Now, in my bilingual dictionaries gun is “(weapon) arma f. da fuoco; (revolver) revolver m., pistola f., rivoltella f.; (rifle) fucile m.; (cannon) cannone m.”; monolingual dictionaries say something like “ a: a piece of ordnance usually with high muzzle velocity and comparatively flat trajectory b: a portable firearm (as a rifle or handgun) c: a device that throws a projectile”; as for knowledge of the world, the pictures you posted show the context pretty well. Nessun errore, secondo me. Gun è piuttosto generico ed è per guesta ragione che è usato, perché comprende anche la mitraglietta oltre che la pistola. Dalle foto, poi, è chiaro che oltre alla mitraglietta, l'armamento in dotazione comprende anche una pistola. Pistola è solo restrittivo, non certamente un errore. Carino, invece, l'uso di England. Chissà cosa ne pensano gallesi, scozzesi e irlandesi. Luigi, è proprio perché "gun" è generico che tradurlo con un termine più specifico, come "pistola" è secondo me un errore: la traduzione perde la flessibilità dell'originale. Inoltre, quando si vedono poliziotti con mitra in mano, anche se portano una alla cintura una pistola, non è certo questa che salta agli occhi come inaspettata nel resto del paese.